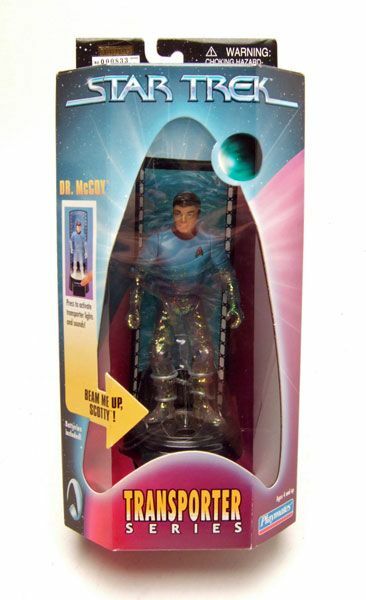 Playmates released Dr. McCoy as part of it's boxed assortment of Transporter Series figures. You know how this gimmick works right? Oh, you don't? Well, it's pretty nifty. 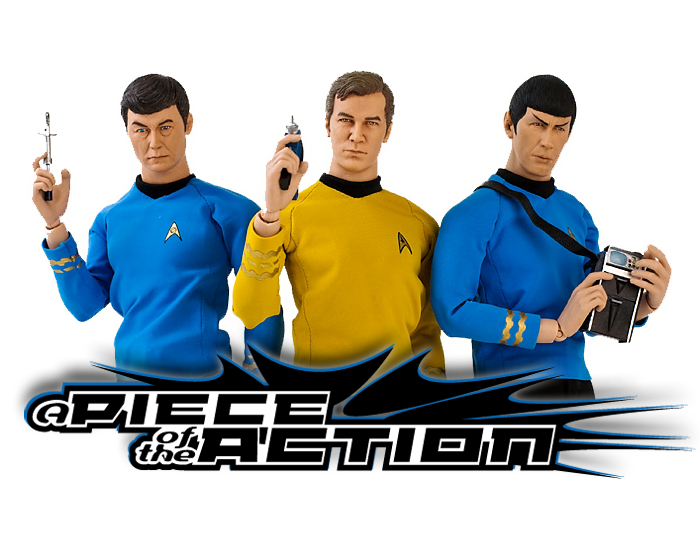 Grab the good doctor, force him onto the transporter base, press the button...and voila! 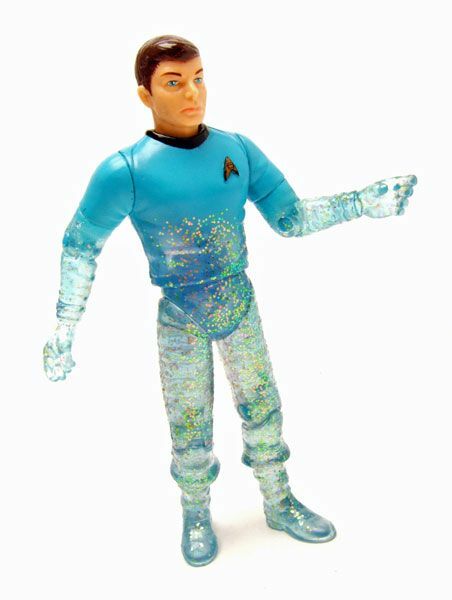 McCoy's molecules get scrambled across space! Okay not really. 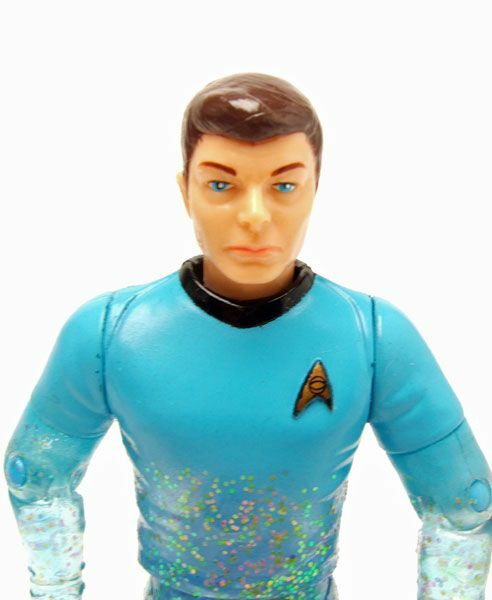 Actually it just makes some transporter noises and a light shines up from the base illuminating the translucent parts of the figure. A pretty cool effect, especially in the dark. 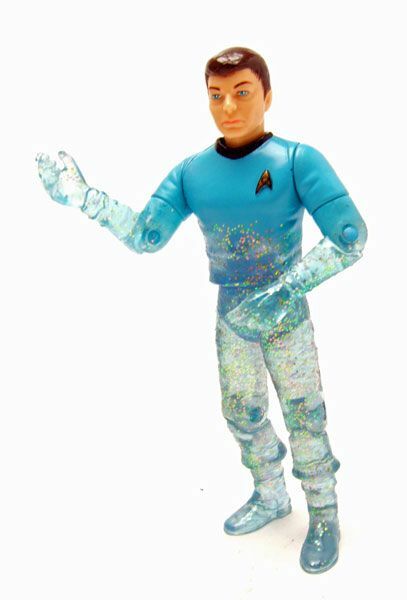 As stated earlier, the transporter figures are molded in translucent plastic to facilitate the beaming effect. It makes the figure pretty useless off of the base, but oh well. 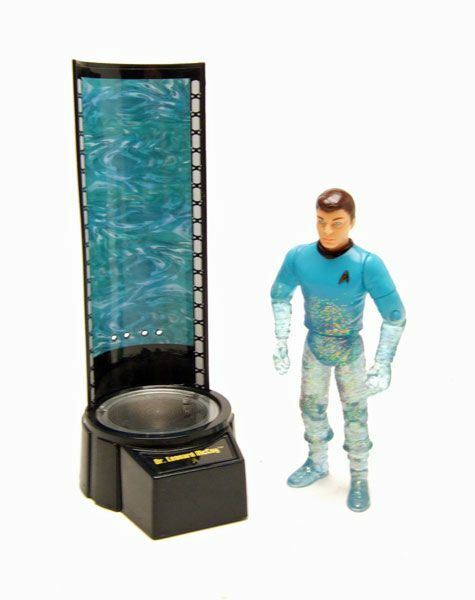 Accessories: McCoy only comes with his transporter base. It has his name printed on it so he knows where to stand.